7 Days in the heart of Africa……..a new world opened unto me every day. This is what this blog is all about. One day at a time, I look back at each of these precious days that have impacted me and taught me so much. This blog post is about Day 1, the day I arrive in Addis Ababa. What is Ethiopia going to look and feel like? I wonder most of the time I am on the flight to Addis Ababa. 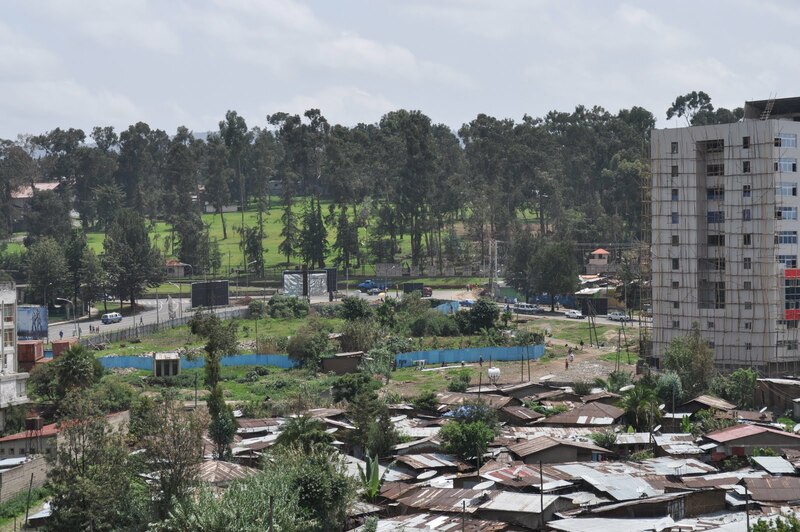 Addis Ababa…. A name I have heard in books and stories and sometimes even as a source place of ancient wisdom literature. This is my first real visit to real Africa, apart from an impactful visit to Egypt what seems like eons ago. And the word Africa conjures up images owing mostly to Nat Geo shots….of safaris and zebras and giraffes and lions, of the earth cracked mercilessly by drought, of malnourished children, of beautiful and defiant people with a sensibility all their own. The flight is eighty percent occupied by women. I am surrounded by friendly looking Ethiopian women, mostly workers in the Middle East, flying out to Addis for a vacation to see their families, as they tell me. They are mostly wearing head scarves or head wraps. The most striking part of these women is their eyes. Big, expressive, often doe-shaped eyes which give you the feel that there is so much lurking behind them. Chiseled noses, heart-shaped faces. Glowing dark complexions with a tinge of the colour purple on the lips. These women are beautiful. Well, every woman of every part of the world is. But these women are distinct, as apart from physical features, their body language tells me they are comfortable in their skins. Planted firmly in their culture, yet willing and ready to spread their wings. As we touch down, a metal-trolley staircase is rolled in for us to get down the flight. No fancy ramp. Welcome to the third world! Stepping out, a gush of crisp, cool mountain air beats against my face. Puddles of water on the ground as I wheel my roll-on through them tell me it has just rained a while back. It rains in Addis nearly every day, especially in the evenings, I am told by another passenger. Coming from Karachi where we are rain-starved and thus associate every idealistic and romantic emotion in the world with rain, I am thrilled! The airport is big but a bit run down. But the “visa on arrival” process is smooth. I notice a lot of foreigners……busy looking, with fast-paced gaits and a sense of purpose on their faces. Ethiopia is teeming with NGOs, both local and foreign, as I find out expectedly over the coming week. One thing I notice at the airport that day, and in the traffic on roads and wait-ups in banks….everywhere….is how patiently Ethiopians wait for their turn in queues. A tiny bubble bursts inside me. A bubble in which I believed that breaking lines and other forms of unruliness are a by-product of poverty. Poverty is larger than life in Ethiopia, so how come………? My chain of thoughts is disrupted. The immigration officer beckons me. I’m done in a minute. Near the conveyer belt, I see my colleagues Edyth and Emma. Beautiful, vibrant African women I met in Washington DC during the last seminar. Edyth is warm, composed and a writer with a heart. Emma, a wonderful person, a woman of few words, who I have grown to cherish knowing. We hug and excitedly chatter as we walk out of the airport. Eager porters are in the hundreds. So are beaten taxis in white and blue, artifacts of the ‘70s. We get to the hotel’s shuttle where another colleague, Kwamboka, a new member of the team, awaits us. But instantly amiable with infectious warmth, she makes us feel we’ve known her all along. An eventless, pleasant drive on that first evening in Addis and we arrive at the hotel. My room is on the 10th floor. The view from the balcony is spectacular, even at night. Isolated glimmers of lights are spread out on the hills I look at. I tighten my shawl around me, with a cup of coffee in my hand, and stare out at Addis by night, standing in the balcony for as long as I can stand the chill. This is going to be interesting, I say to myself. Exhaustion is setting in. I inform my family on Skype that I am safe and have reached. I Facebook for a bit, a ritual for me, I confess. I say my prayers, and too tired to go down or order room service for food, suffice with crackers I put in my handbag from the meal on flight. Snuggling in under the comforter, I am as usual trying to reflect upon the whole day that has sped by in sequence, another ritual for me. I am unable to do that. I sleep. Excellent. They are patient people, we have patients!!! You convey the mood beautifully farah. i was transported to ethiopia whilst reading it. What a captivating piece of writing! Well done. You are made to write travelogues. Yeh Dil Mangay more!! Wow! very amazing! I'm impatient to read the following, the Fiche trip, the Bioeconomy, the shopping; wait for other pages. Why not write a novel like "the hospital by the River"?Thanks a lot Fara!